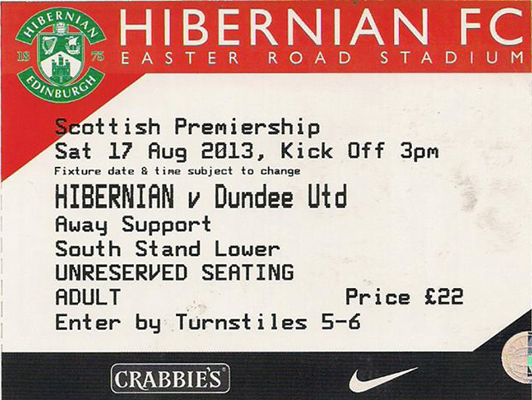 The hosts made one change from their Derby defeat to Edinburgh rivals Hearts, Danny Handling in for Owain Tudur Jones. United made two changes from the side that faced Inverness with Chris Erskine and Keith Watson replaced by Ryan Dow and the returning Gavin Gunning. After a nondescript opening 15 minutes the Tangerines began to control possession. The pattern for most of the game was to get the ball to Gary Mackay-Steven. A good break, with space, down the left allowed Andrew Robertson to feed Mackay-Steven. The winger, who has returned from a midweek call up to Gordon Strachan's Scotland squad, looked to trick his way past Fraser Mullen. Mullen elected to pole-axe Mackay-Steven which left Referee Crawford Allan with no choice but to flash yellow at the Hibs full back - a strategy which proved to shorten Mullen's time on the park as he was later substituted before half time. Mackay-Steven then made it look easy as he got past the Hibs defensive line and played an inviting ball into the danger area but unfortunately there were no takers. In 23 minutes Mackay-Steven rushed into the Hibs area. He elected to play the ball into the path of John Rankin. However, the midfield man's strike went over when it may have been more effective to allow the ball to run on to Ryan Dow who had positioned himself well to strike the ball. The Terrors took a deserved lead on 27 minutes. 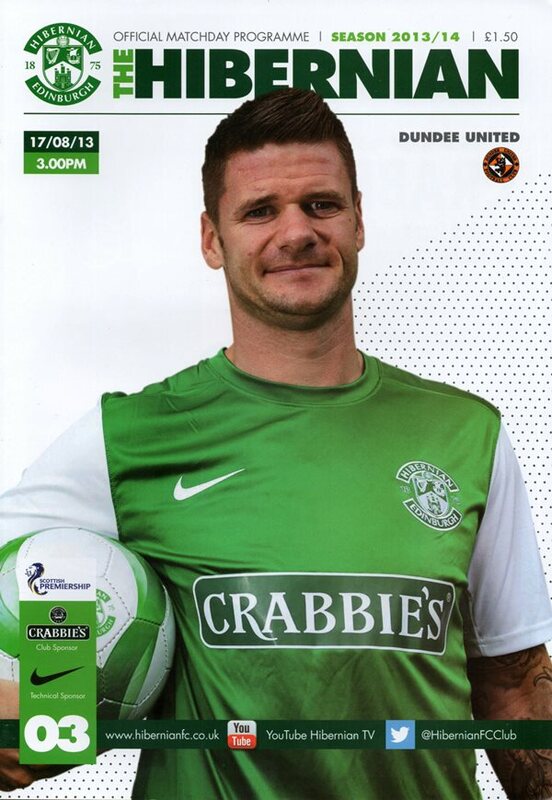 Another wonderfully judged long pass from Calum Butcher released Armstrong in behind the Hibs back line. Showing strength and composure he motored into the box. 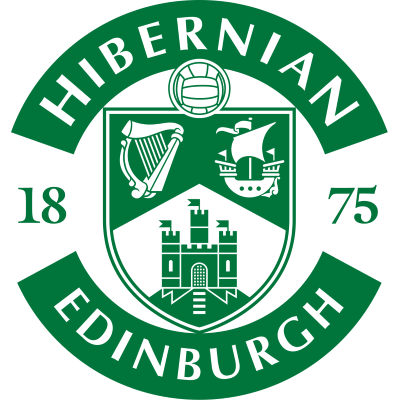 Despite the Easter Road defenders' best efforts, Stuart Armstrong slotted the ball past Ben Williams to give United the lead and their first Scottish Premiership goal. 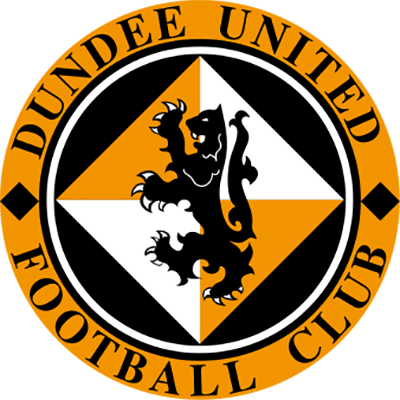 In the second half United continued to have the better of possession with John Rankin and Paul Paton providing a platform for the more attacking players to build upon. A second goal almost came United's way on 53 minutes. Armstrong and Dow linked up in an advanced position and fed the ball to Sean Dillon on the right. The United captain's cross found Goodwillie at the back post after he had done well to find some space. Unfortunately, the striker's downward header bounced up and wide. A big talking point of the game came on 64 minutes. The coming together of Gavin Gunning and Kevin Thomson, after the Hibs midfielder ran onto the follow through of Gunning's clearance, resulted in a confrontation between the two. With players from both sides getting involved, Referee Crawford Allan dismissed both players whilst Liam Craig earned a yellow card for his part in the confrontation. The home side pressed to find an equaliser and it came on 79 minutes with former United midfielder Scott Robertson the scorer with a right foot strike from 25 yards. After his first attempt at playing the ball goal-wards was blocked by his own player. Fortuitously, the ball fell into his path again and 25 yards from goal he let fly with a right foot strike which just squeezed past Cierzniak's right hand side.